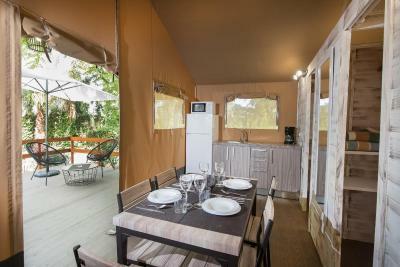 Lock in a great price for Camping Caledonia – rated 8 by recent guests! 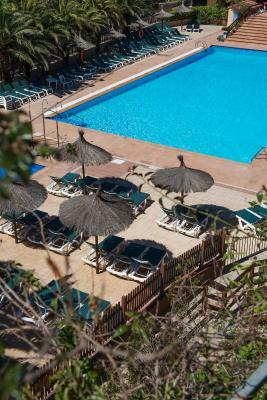 The staff were very helpful and pleasant & the shower facilities etc were very clean & well equipped. The on site restaurant was very good. The site has generally everything you need. 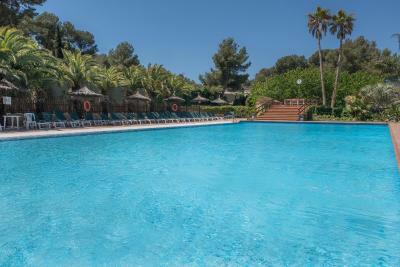 Good pool and the bungalows are adequate. Very friendly and helpful staff. Good, clean, basic accommodation. Very family oriented. Very clean and tidy. 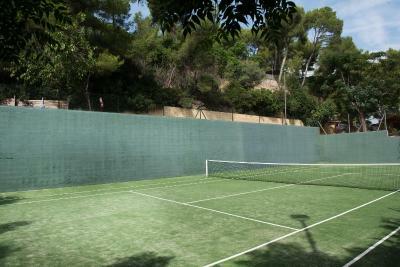 Basic facilities but perfect for a holiday. We had aircon, a must. Even in early June it hit 33c in the shade! Reception staff excellent. A special word of thanks to their shuttle bus driver, very helpful, friendly and a wealth of information. Cosy and private. Outside balcony. Free wifi after being advertised as costing. Many cooking facilities with parking right outside the door. Great pool for laps. Not far from shops in car. 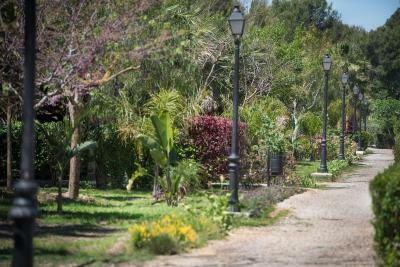 Set among pine trees, Camping Caledonia is 0.6 mi from Tamarit Beach and 1.2 mi from La Mora Beach. 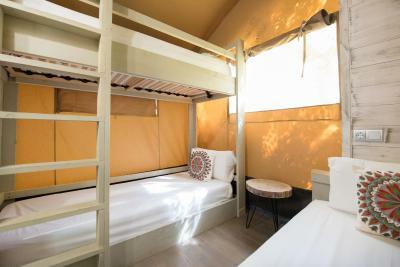 It offers simple, rustic accommodations and a seasonal outdoor pool. The Caledonia’s wooden-framed bungalows have small terraces and some feature patio areas. Each has a kitchenette and a seating area with satellite TV. Wi-Fi is available for an extra charge. 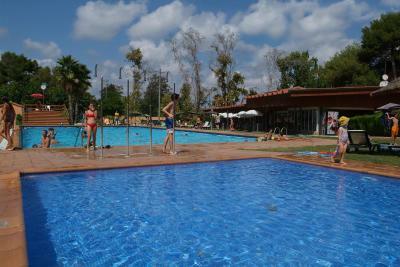 Spanish cuisine is on offer in the Camping’s restaurant, which overlooks the pool area. There is also a bar and vending machines selling drinks. 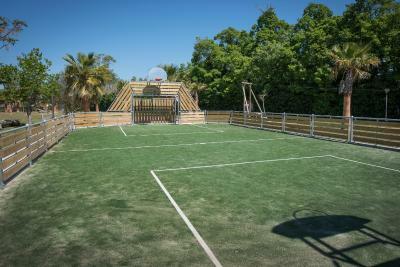 Barbecue facilities are available during the summer months. 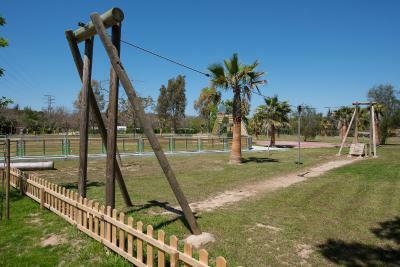 Sports facilities include a zip line, bowls and table tennis. In July and August, the Caledonia also provides a daily entertainment program and children’s club. PortAventura Theme Park is less than 12 mi from Camping Caledonia, while you can drive to Tarragona in just over 10 minutes. Barcelona is just over an hour’s drive away. 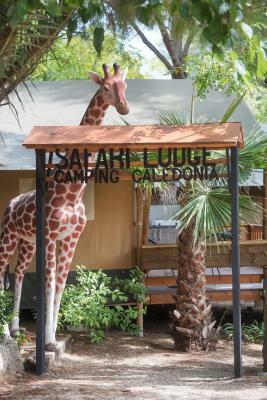 When would you like to stay at Camping Caledonia? 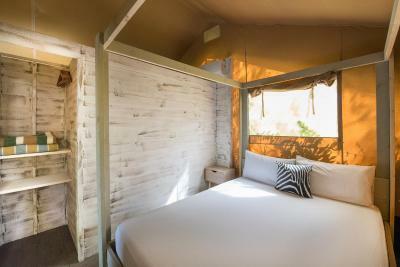 This wooden bungalow offers 1 double bedroom, 1 twin bedroom, a private bathroom and a living room with 2 sofa beds, satellite TV and a kitchenette. There is a terrace with a table and chairs. 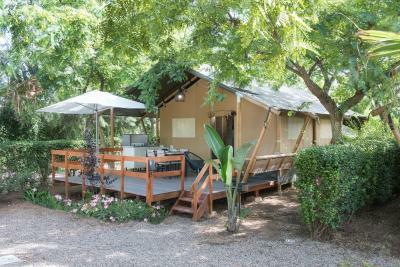 This more spacious, air-conditioned wooden bungalow offers 1 double bedroom, 1 twin bedroom, a private bathroom and a living room with 2 sofa beds, satellite TV and a kitchenette. There is a terrace with a table and chairs. 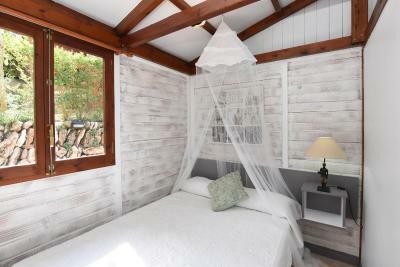 This small, air-conditioned villa has a double bedroom and a twin bedroom. There is a living-dining room with 2 single sofa beds, a small table and a satellite TV. The kitchen comes with 2 hobs, microwave and fridge. The bathroom has a shower. The terrace has a table, chairs and barbecue. House Rules Camping Caledonia takes special requests – add in the next step! Camping Caledonia accepts these cards and reserves the right to temporarily hold an amount prior to arrival. Please note there is an additional charge for sheets and towels. The accommodation was described as a bungalow but was in fact like a garden shed. It was very basic & we were quite cold all night. A little noisy from the train and the main road. You certainly need a car to see the area. We don't drive so were prepared to walk to the beach (which is lovely) but we didn't expect to have to walk along a busy road with no path - so that was a bit of a dissapointment. It's also a pretty long walk to the town - Great campsite for families with a car but as non-drivers we were a bit gutted we didn't book closer to the beach. 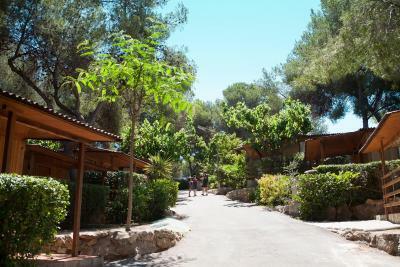 Accommodation was also quite expensive in terms of value for money compared with the other places we stayed. Nearby trains were occasionally annoying. Our grandson enjoyed them though! Location is not great. It's a shuttle bus/bus/taxi/train to pretty much everywhere. During our stay, we were the only English speaking guests there, so the kids were bored on the campsite, hence we had to head offsite everyday. Not a fault as such, I think it's just down to the location. Hiring a car is a must.